Kids now days are quite talented and do not hesitate in pursuing their interests and hobbies by taking them to another level. What starts as an interest and a hobby, and if taken with utmost dedication and sincerity can be translated in a fruitful career option. Painting and drawing is one of such hobby which is loved by many students as young kids but it gets somewhat forgotten in the long run when these children grow up and are pressurized by the burden of studies and other activities. Fine Arts is a subject in which some children are naturally gifted and have a unique talent of making such unique and beautiful pieces of art without any supervision. Such children can take up a formal course in Fine Arts to not only enhance their skills but also convert the same in the professional level. There are numerous Hobby Classes In Fine Arts present across different cities who cater to teaching children deeply about arts along with enhancing and polishing their skills preparing them to build right skills for the future. To pursue Fine Arts after school, one must enroll himself in a course of Bachelors of Fine Arts also known as BFA which is available across various different colleges in India and abroad. Delhi also has a number of colleges that provides Fine Arts course and students can pursue the course to obtain a required degree in the field. 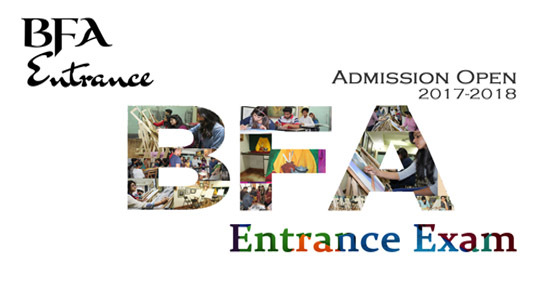 Interested aspirants can apply for BFA Entrance Exam In Delhi that is the eligibility exam for such students to take admission in the BFA course. The entrance exam for BFA is used to test the skills of a particular student as this particular course of BFA required some basic skills in art and only those individuals possessing such basic skills are allowed to undertake the course for further studies. Such courses teache the students about various aspects of Fine arts and enhances their inborn talent and improves it for the professional aspects. Such students are known to make some of the astounding works of art which are later on displayed at various exhibitions and galleries. They make 3D paintings which are almost unbelievable as they are as good as real. One can find some of the best 3D Wall Painting In Delhi made by some of the most talented artists. These paintings are extremely liked by most people as they due to the 3D effect they look almost real and the dedication and talent of an artist can be seen by merely looking at the painting. Fine Line Art Academy is an institution specialized in Fine Arts which conducts an entrance for admission and is known to produce some of the finest artists across the country. The faculty at this academy is highly trained and extremely encouraging to each of its students. They provide all its students with a platform to showcase their talents and skills in the professional world. The students of this academy are trained artists after the successful completion of the course.